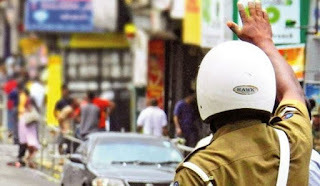 President Maithripala Sirisena says he will discuss with the relevant authorities in order to replace the Khaki attire , which is being used as a Police uniform. The President also said that the police uniform will be changed in line with the internal changes being made to the police department with the view of repelling negative attitudes on the police and to create a quality and respectful police service. He said this at a function held at the Kosgama Police Station yesterday (28th). The President added that he had taken a range of steps to uplift the police service in the past few months after taking the Police Department into his supervision.